Xiaomi’s POCO has announced that POCO F1 6GB+128GB version will receive a price cut of Rs. 2000 and Rs. 20,999 from 25th March to 28th March. 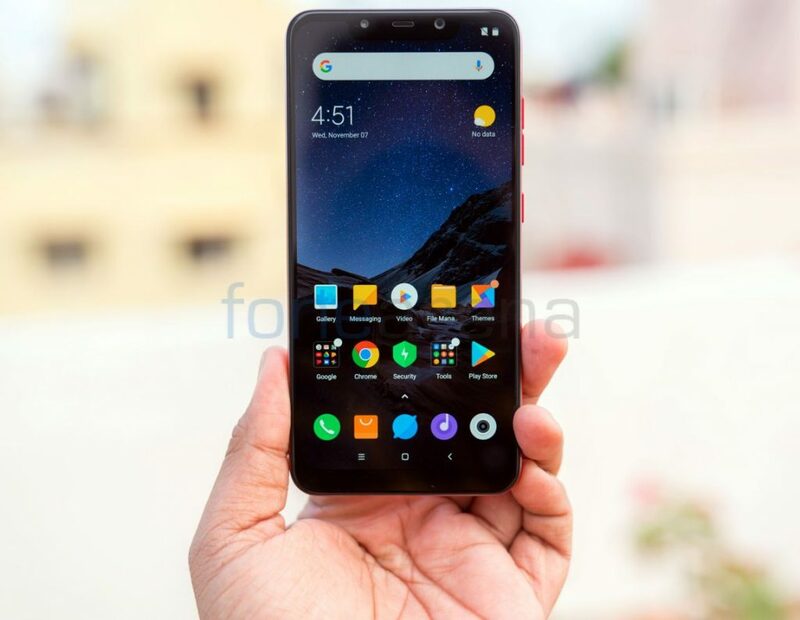 The company says that it has received overwhelmingly positive response that POCO F1 has received in merely six months upon its launch in August 2018 that calls for this price cut. The discounted pricing will be available across Flipkart and Mi.com starting 25th March starting midnight till the 28th March. POCO F1 6GB+64GB and 8GB+256GB variants will be available at standard rates of Rs. 19,999 and Rs. 27,999, respectively, but it will get an additional cashback of Rs. 2000 and Rs. 3000 respectively on exchange, on Flipkart from 25th to 28th March. What started out as a promising dream has now become a successful reality. We designed POCO F1 by making product choices that assure unbelievable performance. With every feedback that we received, we refined the user experience, bringing innovations that truly matter. POCO F1 Evolved is a new experience in the same body, with features like Widevine L1 certification and Game Turbo mode. We are positive that our customers will immensely benefit from these innovative features and make the most of POCO F1.